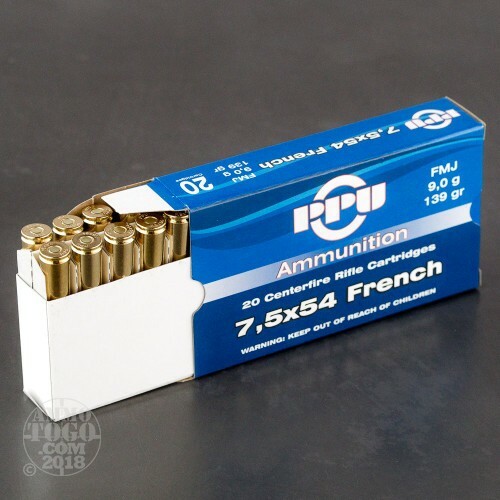 This package contains 20 rounds of Prvi Partizan 7.5x 54mm French MAS ammunition. 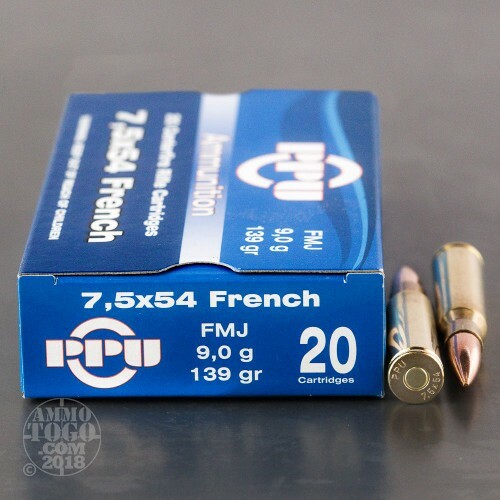 Each cartridge is loaded with a 139 grain full metal jacket (FMJ) projectile. 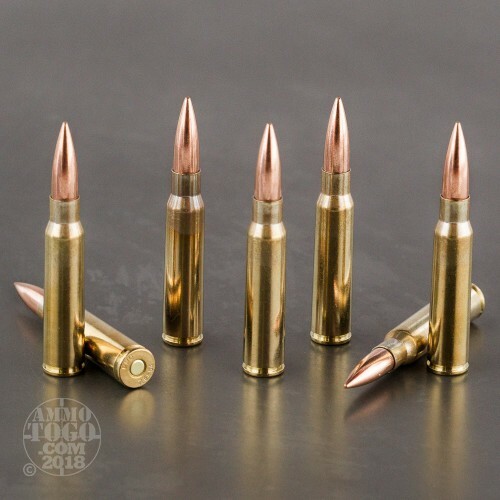 These FMJ bullets deliver almost zero terminal expansion, making these economical loads best suited for target shooting, tactical practice, and casual backyard plinking. 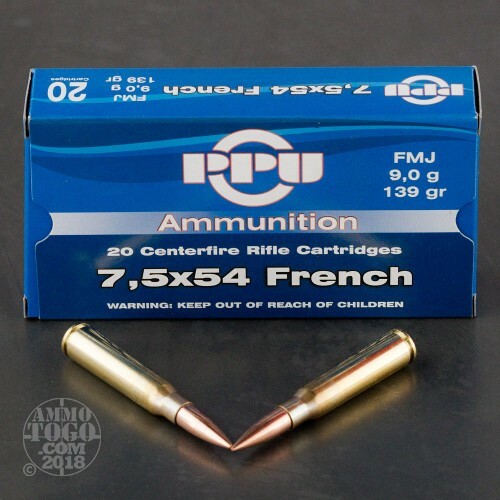 This ammunition is factory fresh, non-corrosive, boxer primed, and brass cased. Leaving the muzzle at a consistent velocity of 2723 feet per second, each round delivers a muzzle energy of 2284 foot pounds.